A white and empty fridge can only last few days before someone decides to lay hand and provide some color by attacking some postcards from the last trip made or some post-it with some special message. 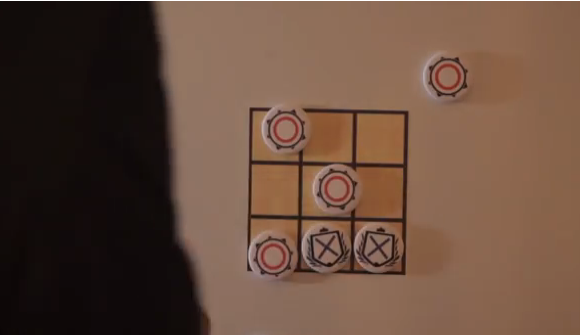 Playing with your refrigerator using smart & cool fridge magnets. With Camaloon, in fact, you'll be able to customise magnets with all images and designs you want and challenge your girlfriend / boyfriend, your roomate or some friends after dinner. For example, you can improvise a tris game customising a handful of magnets, throw the challenge and wait for the opponent's next move. Watch the video and discover how fun it can be play with Camaloon magnets.